Portsmouth decided as a community with the completion of the 2005 Master Plan to become more sustainable and ecologically friendly in order to safeguard it's future. With that mindset, the Mayor's Blue Ribbon Committee on Sustainable Practices advised the City Council to declare Portsmouth an Eco-Municipality. 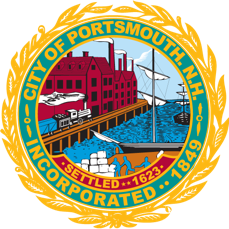 The City Council voted unanimously to declare Portsmouth an Eco-Municipality in 2007 and signed a resolution which fully acknowledges Portsmouth's commitment and desire to become more sustainable, and to do so uses four sustainability principles from The Natural Step by making thoughtful, insightful decisions that will benefit the community as a whole.